What do you do with 10 pounds of green beans? Anything you want! 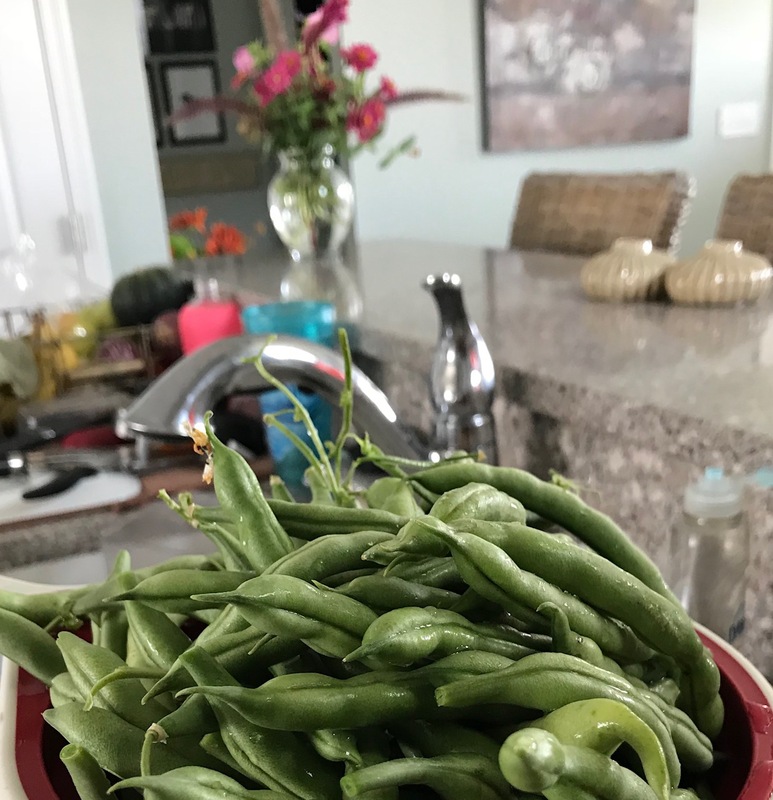 We have an overabundance of green beans this year (we only planted two plants!) and so I am well versed in the variety of ways you can cook this delicious produce. You can make dill green bean pickles. You can cook them from fresh. And that is what I am sharing with you today. 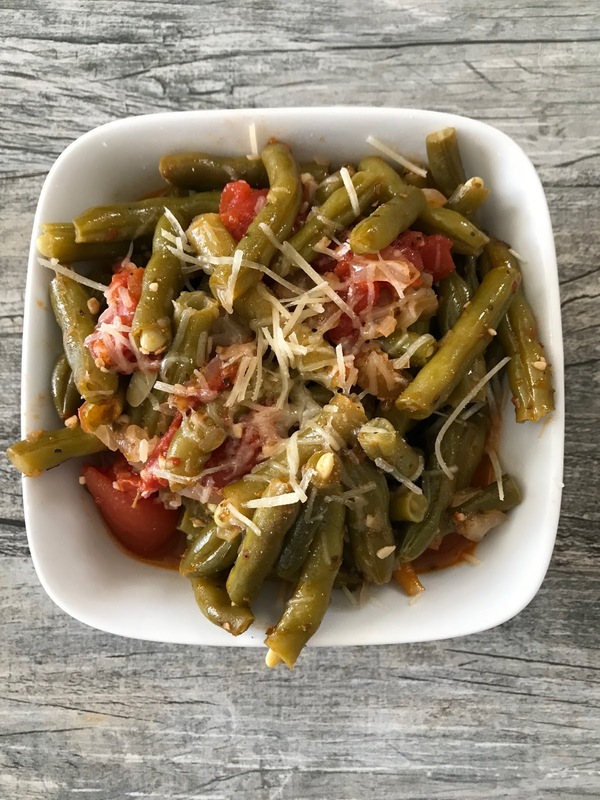 My new favorite way to cook fresh green beans. You might have read my post last week on the Essential Instant Pot Cookbook by Coco Morante. I love this book and the green bean recipe inside. I am not going to share her recipe, but I will tell you that this one is inspired from it! This post is part of "Around the Harvest Table," a group effort of bloggers who have put together a farm-to-table meal using the harvest from our gardens and some old-fashioned skills. I hope you'll visit every post listed below, because each one of my friends is sharing her recipe for the dish she has prepared for this communal meal - have a seat at our table and join us! Turn on your Instant Pot to Saute, heat up the oil and add garlic. When the garlic starts turn golden, add onions and cook until translucent. Add tomatoes, basil and water. Cook for 3 minutes. Add green beans. Lock the instant pot and set on for 8 minutes. When the timer goes off, do a quick release of pressure, taking caution not to burn your fingers. When the unlock signal chimes, remove lid and add salt and pepper. Serve. Delicious the second day, too, so make plenty! 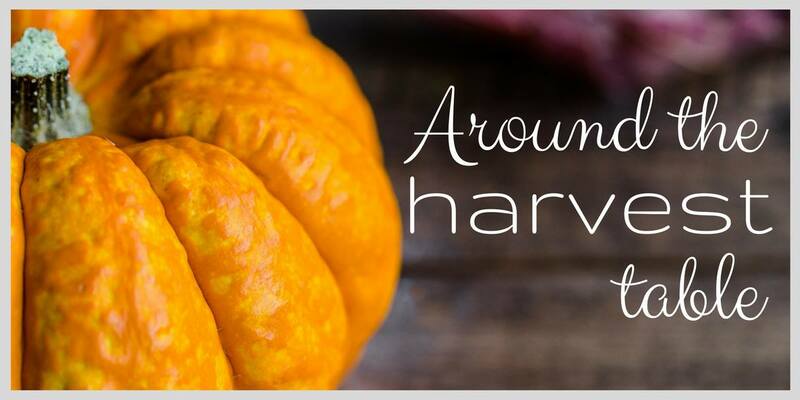 Today we are sharing all kinds of recipes using produce from our gardens. Growing a garden is easy and such a great way of getting food that is good for your body. Check out all the deliciousness below. Ask questions if you are interested in starting your own garden next year. We are here to help! I want to introduce you to the bloggers that created this fun post. Michelle Curren lives with her husband in an empty nest on their rural homestead in the Missouri Ozarks. She writes about homesteading, gardening and homeschooling. Her blog can be found at http://midlifeblogger.com. And me. Terri Steffes lives with her husband in a New Urban neighborhood in historic Saint Charles, Missouri. She writes about food, recipes, good books, travel and gardening, and decorating their craftsman style home. Our Good Life features many aspects for quality living. The blog is found at http://www.terristeffes.com.